This photo was taken outside city limits on an early morning drive heading towards Lockport, NY. 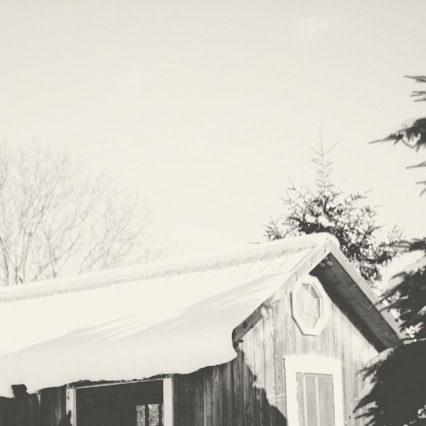 I love seeing the snow on the open fields and this gorgeous barn caught my eye. It was taken with my iphone 4 and edited in Instagram and VSCO Cam (Visual Supply Co., which offers gorgeous minimal processing options and happens to be my newest obsession). The original photo was full of color, with a cold and crisp blue sky against a red barn. But, I ended up featuring the black and white because I absolutely LOVE the highlights and shadowing the photo lends itself to. Believe it or not we actually have cold weather here today in Houston. Now, by “cold” this early January weather is nothing in comparison to the northern states, or to my hometown which is London, England. But 50 degrees and falling is considered pretty nippy here, especially considering it was over 70 yesterday. We’ve spent a fairly lazy Sunday indoors watching the play-offs, but my youngest son Will came home from his bestie Ryan’s house with a great gift for Gimli, Ella’s cairn terrier. 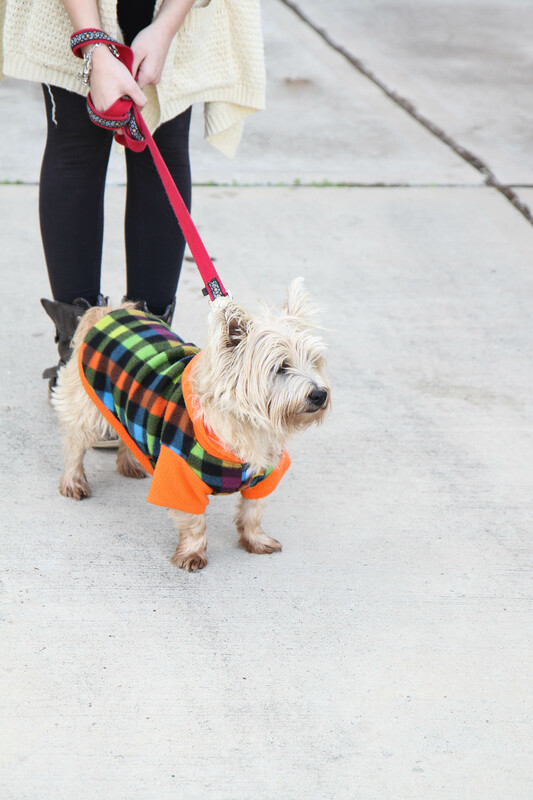 Ella had vowed never to be a dog owner who dresses their pet in clothing, but much to our suprise the little rascal absolutely loved this fleece jacket, and so off they went for a walk together. I think he looks quite dapper. I took this photograph at around 4 o’clock in the afternoon on our front driveway using my Canon 7D and my 17-55mm f/2.8 lens. My settings were ISO 100, aperture f/2.8, and shutter speed 1/125. Post processing in Lightroom 4 was extremely minimal. I cropped the image a little, then increased the clarity and contrast slightly.